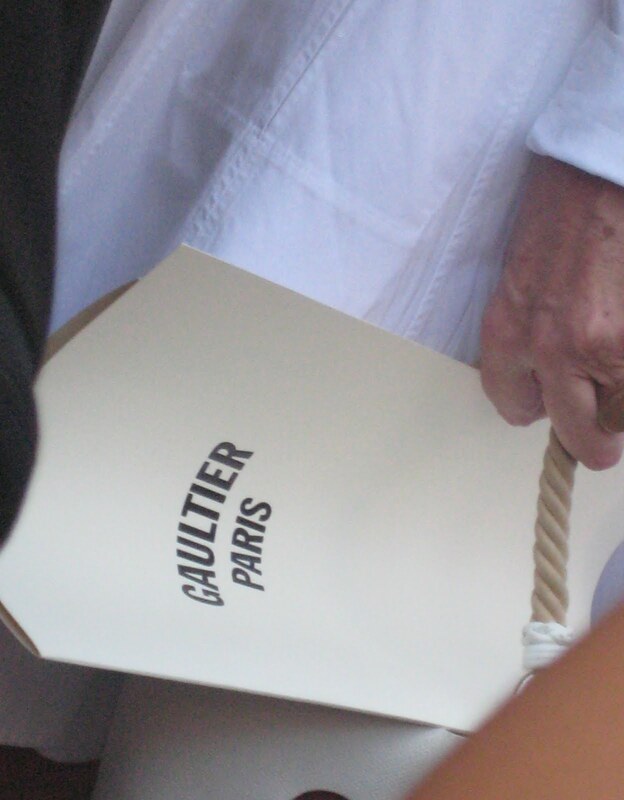 Yesterday, I headed out into the warm sunshine over to the Gaultier Couture show on Rue Saint Martin. The show was an tribute to Parisian glamour, with models holding cigarettes in cigarette holders and having turbans on their head while wearing beautiful creations in a range of dark shades, although black was the dominating force in the collection. The show ended with Dita Von Tess as a surprise model wearing a Gaultier corset. Once the show was over, celebrities and fashion journalists poured out onto the street. 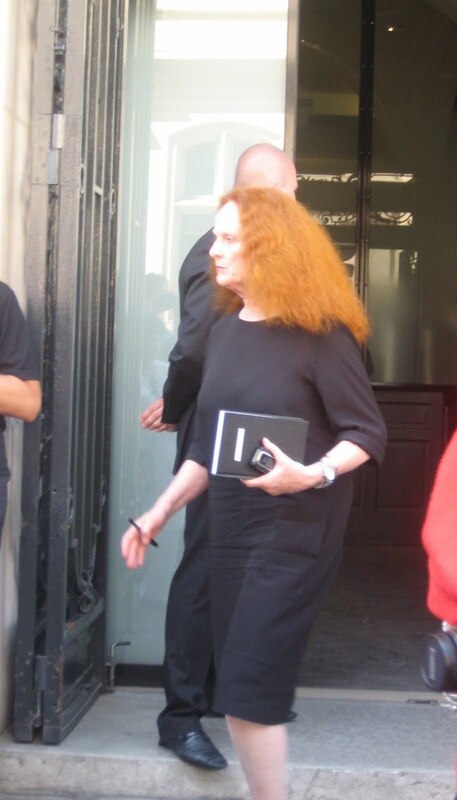 Once again, Grace Coddington was there for Vogue, and Hilary Alexander for Daily Telegraph. Models from the show also came out, some still wearing the dark eye makeup from the show. 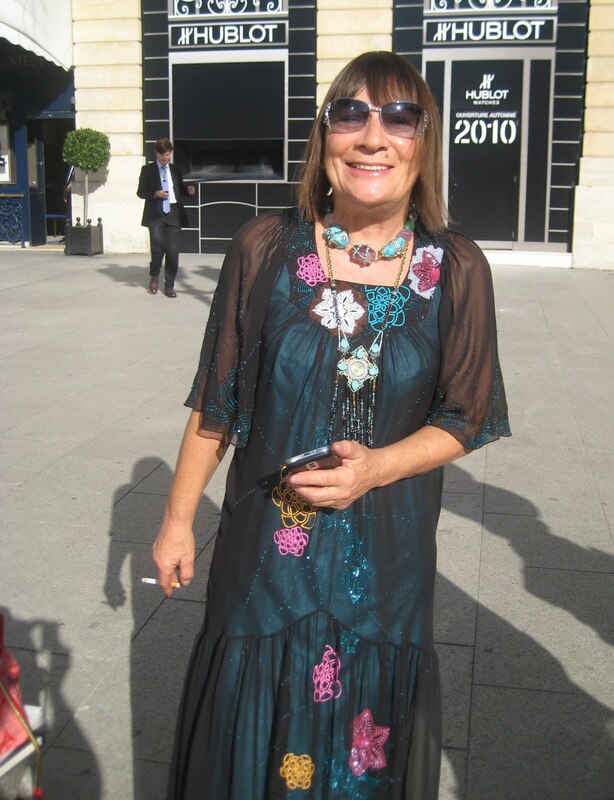 Next, it was onto the Valentino couture show at Place Vendome. Outside the show was another stream of celebrities and paparazzi trying to get their pictures. Clair Danes, Elizabeth Hurley and Jessica Alba were just some that had to make their way through the screaming fans. Jeanne Beker was there doing interviews, and Anna Wintour was taken through quickly in and out of the show by her body guards. Hilary Alexander was there to report on the show, and I was lucky enough to be able to give her one of my necklaces. Hopefully she likes it and wears it to some events! Inside the Valentino show, the collection was called “The dark side of first love.” The dresses where a mixture of light chiffon and blush organza to black silk. 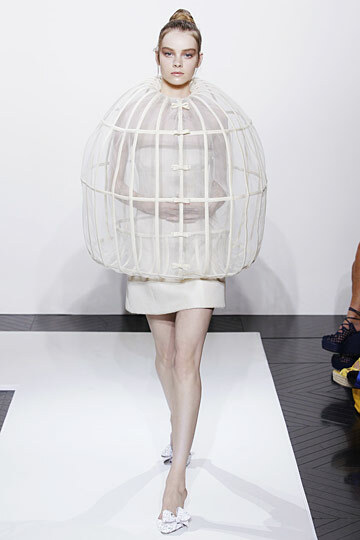 Valentino is obviously directing to its new generation of customers. However, the hand beading and embroidery is still seen on the clothes to keep the Valentino legacy alive.